Elsewhere in these materials we discuss technological solutions and logical principles for how to study the scientific literature and how to edit and revise a manuscript collaboratively. The next challenges will be to write something good and publish it such that it is most likely to be read, cited, and otherwise recognised. Scientific writing is both a creative exercise in logical exposition and rhetoric as well as a highly rigid following of established rules for document structure and jargon usage. Practice makes perfect, but [Zhang2014] and [Weinberger2015] provide some useful guidelines. Assuming you have managed to draft a manuscript collaboratively into a state you all agree is ready to be sent out into the world, the next question is then where it will go. As the chart below shows, it is becoming increasingly common (and in more and more of the natural sciences) to send a manuscript to a preprint server, such as arXiv, PeerJ Preprints, and biorXiv. When you upload your manuscript to such a server, it might not be type set - so this is your chance to make a pretty PDF, perhaps using an online authoring tool. What may happen is that a human on the other end will do some checks to see if what you uploaded is indeed a scholarly manuscript and that you have the right to post there (i.e. it is not copyrighted somehow) - and it will likely be assigned a digital object identifier - but it will not be peer reviewed. What, then, is the purpose of this? 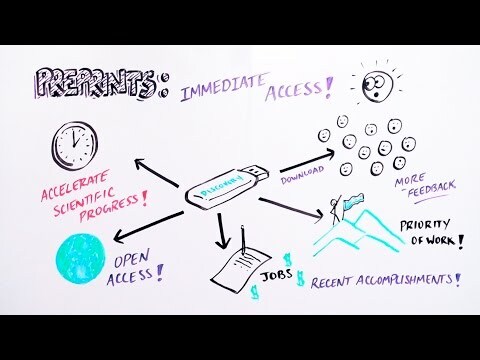 Here is an introductory video created by asapbio, a scientist-driven initiative to promote the productive use of preprints in the life sciences. Your preprint will be the first version of your manuscript that is publicly accessible and uniquely identifiable to anyone on the web. As such, it is means by which you can circulate certain findings quickly and claim "scientific priority" while the manuscript is still working its way through peer review and various editorial steps. Prepare and upload a package that consists of your manuscript (double-spaced, with line numbers), the illustrations and any supplementary data in separate files, and a cover letter where you explain to the editor the importance of your manuscript for the readership of the journal you are targeting. Receive reviews where two or more, usually anonymous, colleagues give feedback on your manuscript. This is usually at least one page per reviewer, consisting of remarks on the substance of your work as well as nitpicking about typos, phrasing, things you really ought to cite, and so on. These reviews will be accompanied by an editorial decision. The best you can reasonably hope for is accept with minor revisions, which means you probably will not have to do additional experiments or analysis, just rewriting. Major revisions means more work, which therefore means it will take a lot longer for the manuscript to be finally published. Because publishers want to avoid showing a long timespan between initial submission and publication (this is usually somewhere on the first page of an article) it appears to become more common to get reject with resubmission instead, which also means more work and a "reset" on the ticking clock from the publishers perspective. Most disheartening of all is a rejection where the editor does not want to see this manuscript resubmitted again. This is usually simply because your manuscript was not appropriate for that journal. 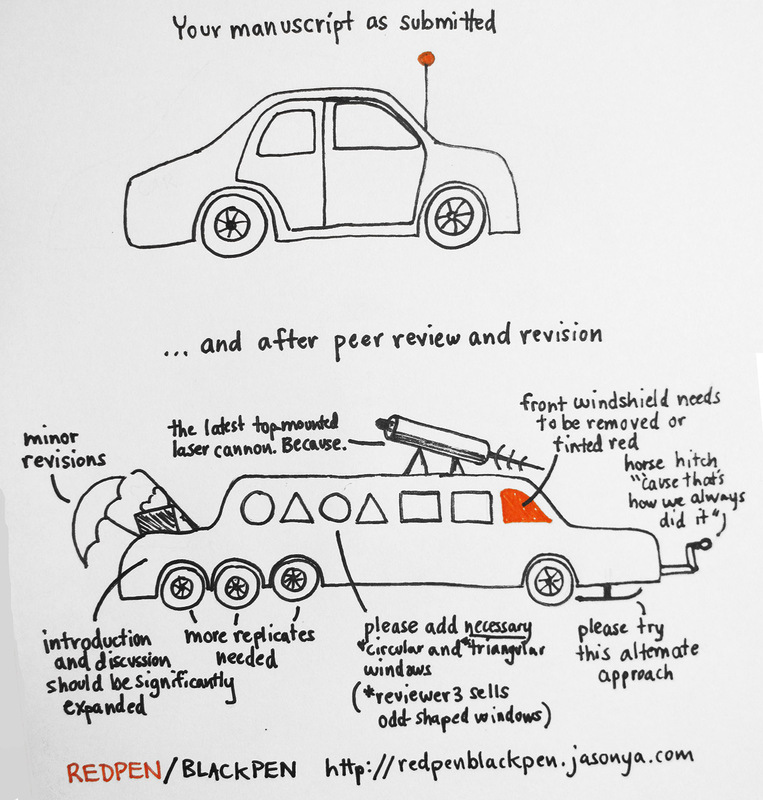 Draft your response to the reviewers and revise your manuscript. You should respond somehow to all of the remarks made by the reviewers. 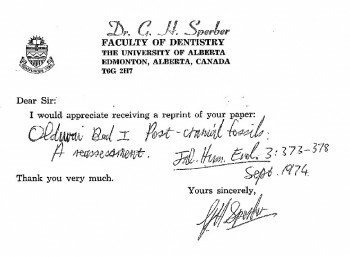 Sometimes the remarks will genuinely be helpful and improve your manuscript. Anything trivial requested by a reviewer you should just do outright so that you build up some credit with the final arbiter, the editor, for the parts where you may have to argue or refuse to do something: reviewers can be wrong, or unreasonable, so you might not be able to satisfy them in every respect. After one or more rounds of review, receive the final verdict. If it was accepted, you will then receive page proofs that you will need to check very carefully, because this is how your paper will look in print. You will return the annotated page proofs, and, perhaps, a signed statement where you transfer copyright to the publisher. Also, you will most likely have to pay: for colour figures and other expenses associated with making a "pretty" publication, but possibly also for open access charges, which are discussed in more detail in the next section. The scholarly publishing model has undergone very little change over the last three hundred years, despite that fact that means of communication have changed enormously. Once upon a time, people had full jobs picking the letters (that is, pieces of lead) of an article one by one from wooden cases: the upper cases in front of them had the capital letters. Stacking the letters line by line and then page by page, this type setting was laborious and therefore costly. Then, the article was printed on paper, and this printed paper was shipped around the world. Needless to say, readers needed to pay for all this work and material. It is not so obvious why this is still the case in an age of desktop publishing and internet communication; nor is it particularly justifiable that the general public first finances the research at public institutions out of their taxes, and then has to pay again to read the results. Enter open access (OA) publishing. The idea behind open access publishing is that everyone should be able to read scientific publications without hindrance. To accomplish this, there are, broadly speaking, two models. "Green" OA simply means that you, the author, often have the right to share your article with others. Even in the olden days, authors would get - or buy - a pile of "reprints" of their article that they could mail to interested readers (who would make their interest known by sending the author a special "reprint request card"). In the age of PDFs, authors can - and usually may, often after some period imposed by the publisher - upload these to their personal website, to an institutional repository, or to their web page on, for example, ResearchGate. The latter website is one of the locations where the Unpaywall plugin discussed in the section on literature study often finds free versions of articles. "Gold" OA means that the author pays the publisher to make the article immediately freely available on their website. Because publishers then lose the ability to charge readers for the article, they attempt to essentially recoup this from authors. Hence, open access charges usually exceed $1000. Semantic annotations - many scientific articles contain terms that originate in some sort of controlled vocabulary, such as gene names, species names, chemicals, and so on. Some publishers have started to provide services that automatically annotate articles with recognised terms. For example, the Biodiversity Data Journal does this for species names, as do other ARPHA journals. Machine readable publications - the language in some scientific articles is structured so rigidly that it is, or could be made, machine readable. An example of this lies in taxonomic descriptions of species (such as in floras)): in a recent study, such descriptions were read by scripts and converted to an ontology. An ongoing initiative to make taxonomic publications machine readable for such purposes is offered by Plazi. Enhanced PDFs - PDF files can contain more than just formatted text and figures: they can be enhanced with interactive visualisations (including 3D), clickable links, and so on. Some publishers (such as nature) are now offering enhanced PDFs with such interactive features. Executable publications - some articles contain a lot of computational analysis that could be presented in a re-runnable form. For example, here is a paper whose analysis can be re-run as a Galaxy workflow. In another example, the infographic and its underlying data and analysis are available as Jupyter notebook. The currency with which scientists recognise each other&apos;s work is citations. How to get cited? The best way to get cited is to do interesting, novel work. The next best way is to present your work in a clear and appealing way, using a good title, a clear abstract and the right keywords. Some content in your article may be discouraging, such as poor writing, or unnecessary but intimidating formulae. Other good ways to get cited are to make your article and any associated data and computational workflows freely available: a recent study showed that open access publications are cited more often. A contentious issue in establishing the supposed quality of a scientist&apos;s work is the "impact factor" of the journals that the work gets published in. Although as a metric it is criticised, it does try to capture something meaningful: some journals are read and cited much more than others. Scientists want to publish in those journals, which forces the journal to become more selective, making it that much more of an accomplishment if you do make it through and get published in, say, Nature. Apart from doing good, open science and publishing it in high-impact journals there are also some practical steps that you might consider to increase citations. For example, it is important that you make it clear which version of your article should be cited. The cumbersome nature of the scholarly publishing cycle, with potentially many versions of an article floating around on cloud services, preprint servers, indexing databases and publisher websites, creates the need for clear, unambiguous, globally unique identifiability of manuscripts. The DOI was invented for this purpose, and tools such as reference managers (e.g. Mendeley) make use of it to locate the "correct" metadata associated with this article. You should therefore make sure that the right DOI is used. For example, if you uploaded an earlier version to a preprint server, you should make sure that people using the DOI issued for that preprint version will be able to locate the "final" version. This might mean that the record on the preprint server needs to be updated to point to the "final" DOI. The next step towards being credited correctly for your work is being identifiable. Citations are tracked by automated processes (such as Web of Science and Google Scholar) that scan the literature for citations to your work and compute metrics such as the H index. If these automated processes encounter multiple, different versions of your name, e.g. because you got married and took on your spouse&apos;s name, or you have middle names, then some citations might not flow towards you but to your alias. This is one of the reasons why systems such as the ORCID, which identifies researchers with an identifier that can be attached to publications, have come into usage.